No, it’s not an 80s-themed costume party — though who wouldn’t jump at the chance to wear a floor-length floral skirt, a cropped denim vest and strings of pearls? 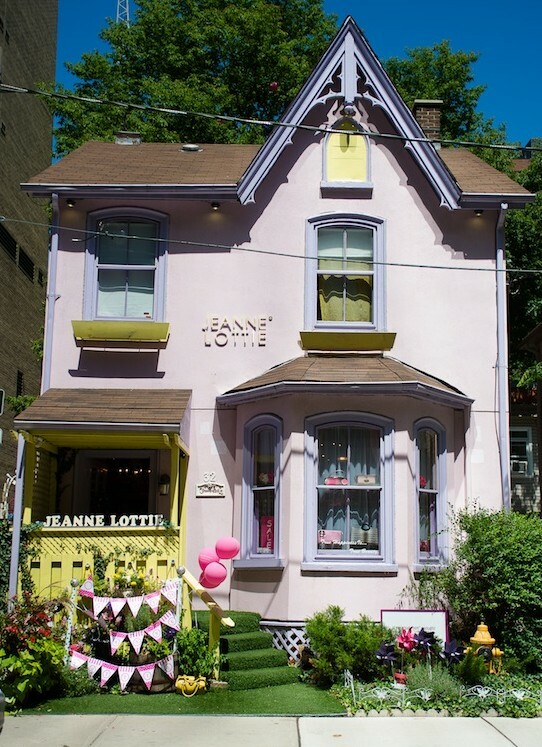 This Saturday, October 18 from 12:00 p.m. to 5:00 p.m., Jeanne Lottie designer Jane Ip is opening up her renowned Pink House Boutique for the Pretty in Pink Party in support of Breast Cancer Awareness Month. The pink-themed occasion, held in partnership with online magazine and event planning company Pink the Town along with Yorkville’s Forest Hill Real Estate, will feature all manner of pink treats and beverages as well as offer mini manicures, makeup applications and gift bags in, you guessed it, pink. The event will also host a silent auction and a fashion show. (No word on what colour clothing the models will wear.) Ten percent of the proceeds from the silent auction will be donated to breast cancer research as well as proceeds from the sale of Jeanne Lottie bags, which guests can shop at up to 40 percent off. The piece de resistance is a KitchenAid Raspberry Ice Architect Stand Mixer, which will go to one lucky silent auction participant. The item is being donated by KitchenAid to celebrate the Cook for the Cure Culinary Showdown. With every sale of this mixer, KitchenAid donates $75 to the Canadian Breast Cancer Foundation. Think pink! The Pink House is located at 32 Scollard Street in Toronto.